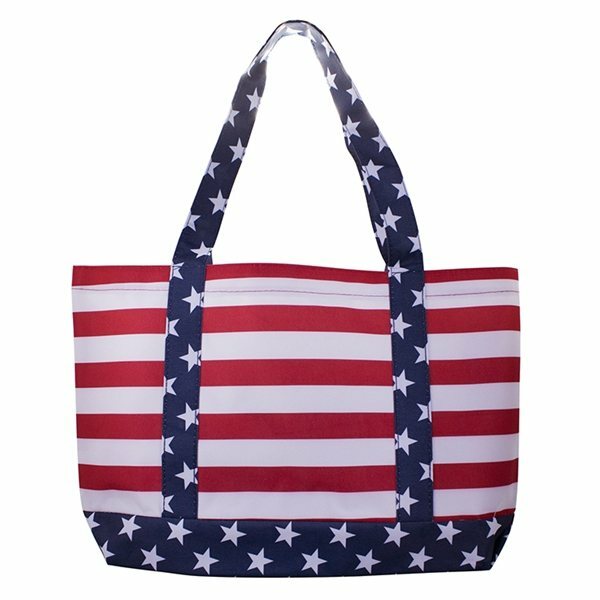 The YaYa Non-Woven Budget Tote Bag - 13" x 12"
Custom Non Woven George Tote Bag - 20" X 16"
The Ike Non-Woven Tote Bag - 8" x 10"
The Hamptons Jute Fabric Tote Bag - 17.5" x 10.5"
Large carry tote with stars and stripes pattern print. Looked like a good quality product, great value for price. the products are just what I was looking for and the printing looks great. They're top quality and also the perfect size. This is an attractive, quality product that's helpful for everybody! 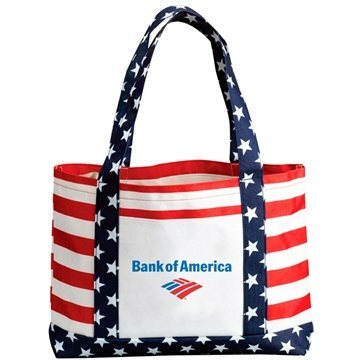 We are very happy with the bags! They are great! This is our second purchase from Any Promo - and we are very pleased, we will be doing business again!